Produced by the Hard Rain Project and the National Union of Students ‘WHOLE EARTH?’ has already travelled to universities across the globe. 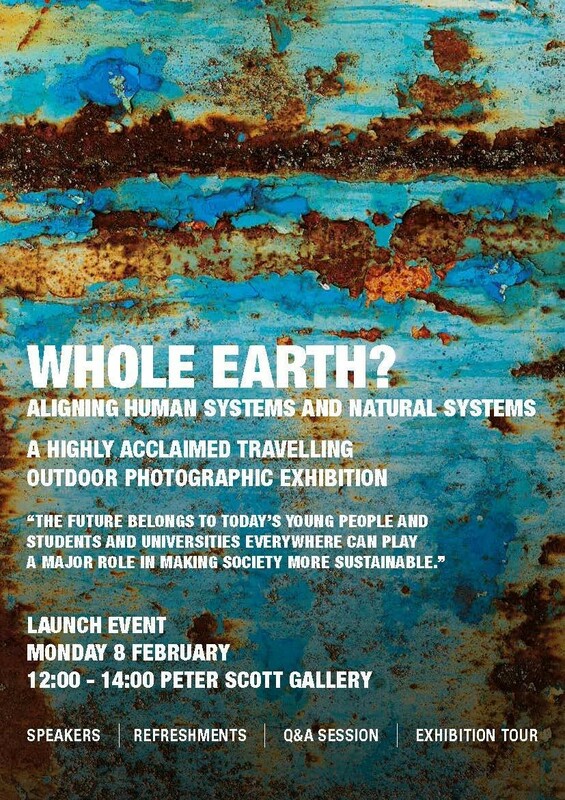 A travelling outdoor photographic exhibition exploring the idea that the future belongs to today’s young people. On Monday the 8th at 12 noon join us for refreshments, a tour of the exhibition and an introductory talk from Dr Andrew Jarvis on resource use impacts on a global scale and current carbon emission trends and projects. The exhibition provides the kind of evidence students need to join the debate about their future. But it's not prescriptive – it's an invitation to students and their tutors to articulate the kind of world they want to live in, and, through Students Organising for Sustainability (SOS) bring them together to show political and business leaders support to take the difficult long-term decisions that underpin security for all.